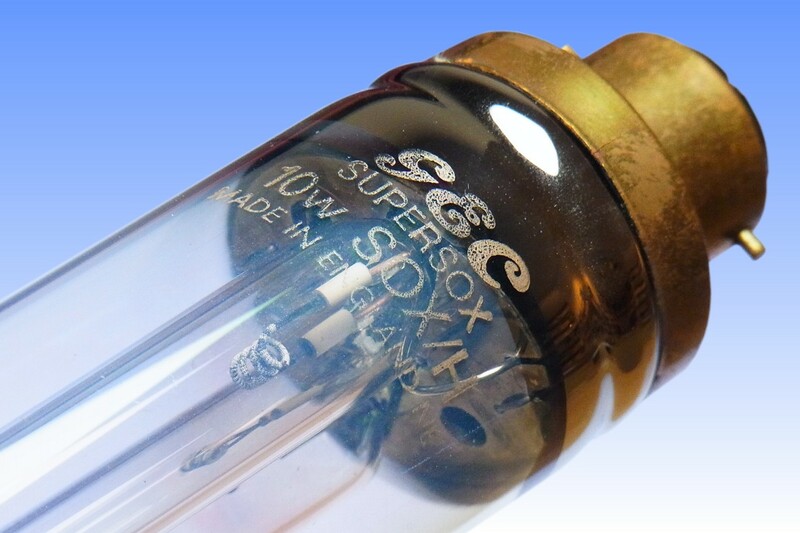 Further to Philips' launch of the Mini-SOX 18W lamp in 1977, Osram-GEC took things a step further with the realisation of this even smaller 10W model in the early 1980s. The primary objective was to reduce the luminous flux to even lower levels, which made the new lamp better suited to outdoor security lighting. The lower flux led to a decrease in glare, and a consequent improvement in visibility by enhancing contrast perception in the illuminated area. Most impressively, it matches the 100lm/W efficacy of its larger 18W predecessor, an important achievement considering that the efficacy of discharge lamps tends to decrease at lower powers. 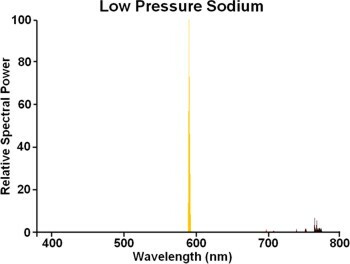 This was facilitated thanks to a reduction in the diameter of the discharge tube. 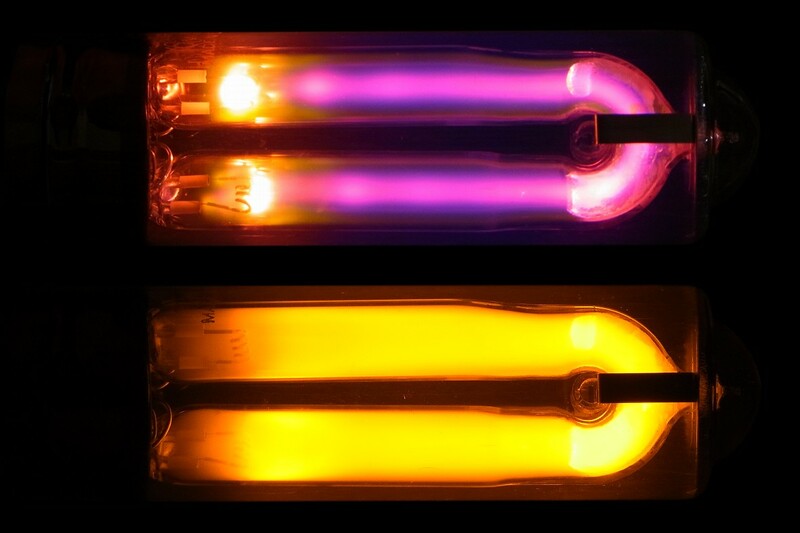 The earlier 18W lamps employ the same tube diameter as larger ratings, and although this is beneficial in increasing efficacy due to the lower discharge current density, there is some self-absorption of light by the sodium vapour within the discharge tube. The GEC design operates at similarly low current density thanks to the power reduction, while self-absorption losses are reduced due to the smaller diameter. 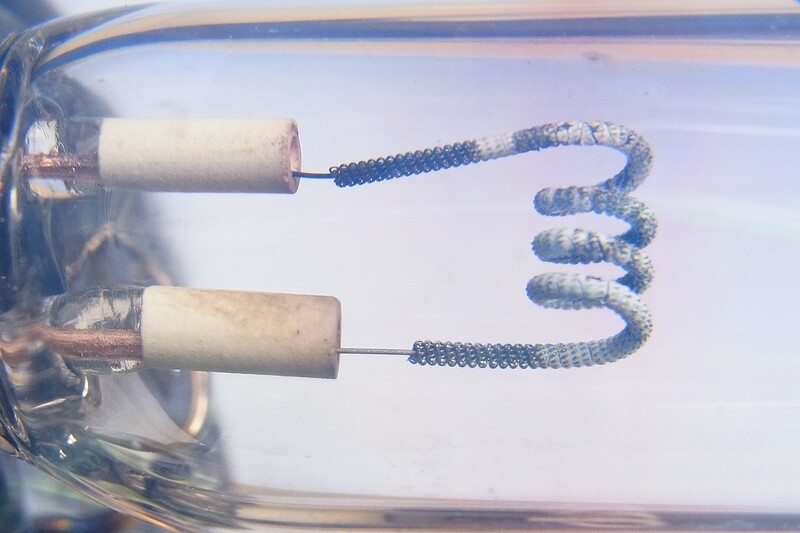 In order to minimise lamp length, the electrodes are transverse coils instead of the usual axial configuration, and the low striking voltage permits use of a conventional B22d cap. 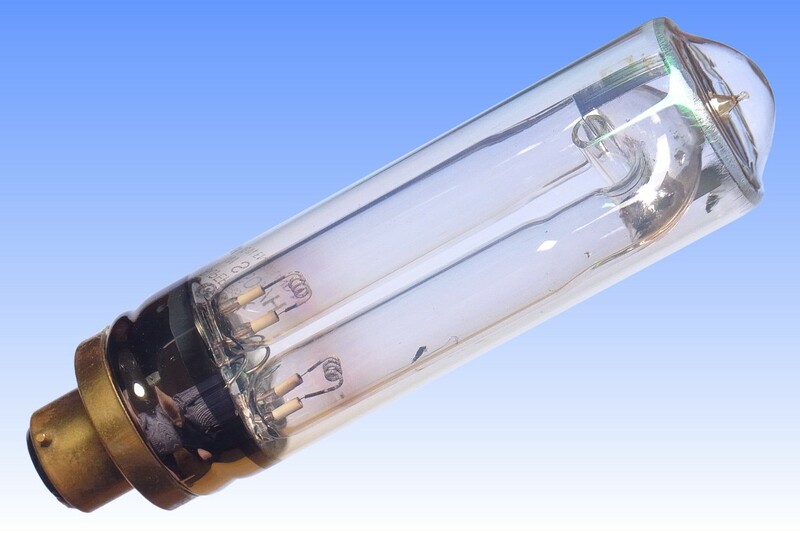 The U-bent discharge tube is enclosed in a 38mm diameter outer bulb equipped with indium-tin oxide heat reflection film, and a nickel-plated heat-reflecting disc at the end. 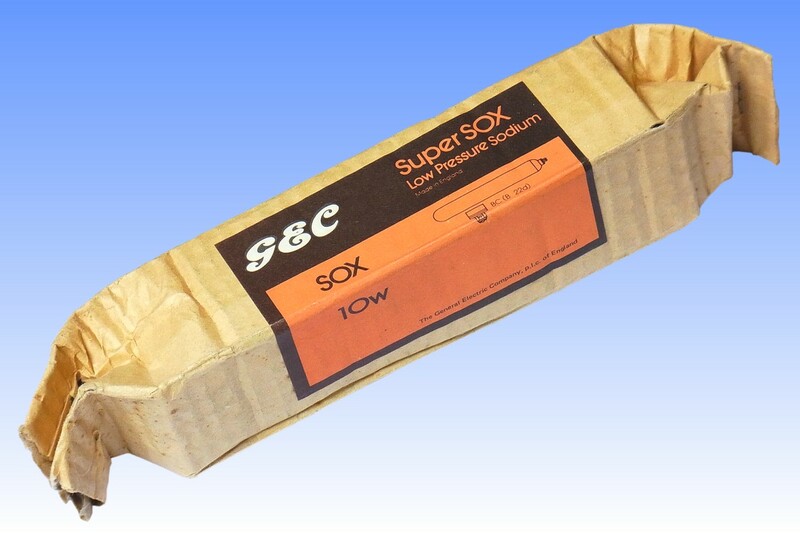 The 10W rating never became a great success, and was made obsolete around 1990. Despite its high efficacy, the actual energy saving is quite small, leading to longer payback times to cover the cost of the lamp and gear.